Sliders aren't brilliant when you want to move back 1 minute in a 2 hr movie. They're not great when you just want to increase the volume a tiny bit. The 'P' row is for position. The 'V' row is for volume. 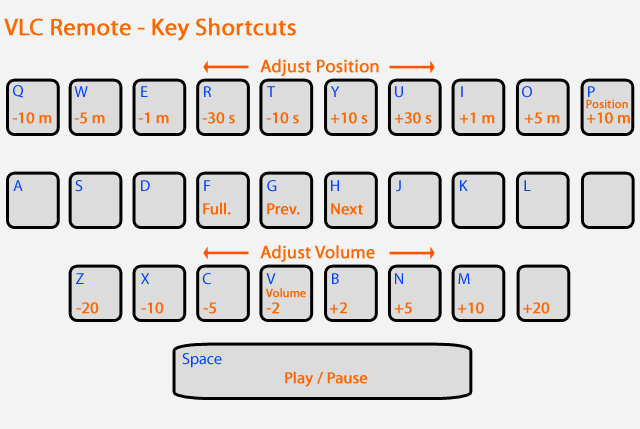 Keys in the middle of the row are for subtle movement, keys on the outsides are for bigger movements. Play/Pause, Fullscreen, Previous and Next are thrown in for good measure!